“We assist our clients, ranging from toddlers to adults, in obtaining their desired reading literacy and numeracy levels. “Our computer-aided learning systems are based on auto-remedial principles and monitor progress on a realtime basis. One of the latest companies to join ADESSA is Cylo. “At Cylo, we have brought together decades of knowledge from around the digital world to create our powerful digital platform, Allexis,” says Enzo Vailati, the CEO of the company. Allexis Education is much more than a Learning Management System (LMS), it is an innovative and holistic platform created to aid schools in becoming completely paperless. Everything a teacher or learner requires for their education is available to them in a smart and mobile tablet, with a plethora of interactive apps to choose from. Allexis Education is fully customisable for each school or University, both aesthetically and in regard to the applications that they wish to use. For example, you may wish to utilise the full ecosystem of applications or you may like to utilise our eReader and Library which is rich in both educational and trade content. The Allexis library has an extensive repertoire of titles from several major publishers including Penguin, NB Publishers, Shuter and Shooter, Oxford University Press and Via Afrika. In addition to this, the Allexis library also contains a large catalogue of music, music videos and audio books. 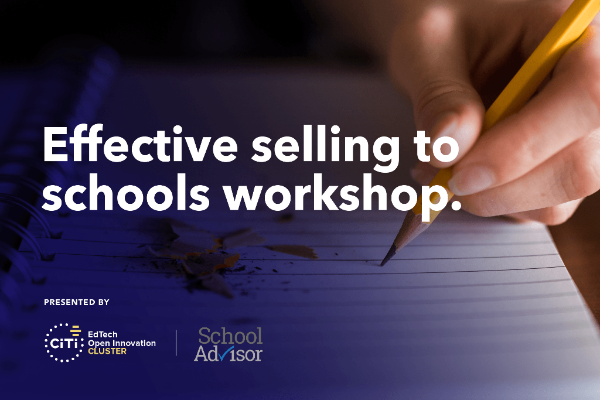 Join SchoolAdvisor (a strategic partner of ADESSA) and CiTi who will be running a workshop on how to sell effectively to schools on Friday, 12 May 2017. The workshop will consist of engaging presentations from people who have real success stories from working and selling to schools, one of the toughest markets to open. All the presenters will be talking from real experience and give you tips and strategies you can put straight into action. Click here for more information about the workshop and what you must to do attend.